Grand Mufti of "Palestine" claims "settlers" are breaking into the Al-Aqsa Mosque. 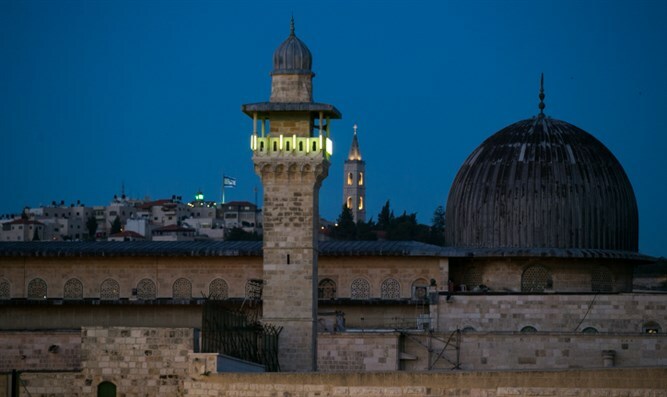 Sheikh Muhammad Hussein, Grand Mufti of "Palestine", is warning about the repeated "break-ins" of "settlers" to the area of ​​the Al-Aqsa Mosque, accompanied by Israeli security. In a conversation with the official Palestinian Authority (PA) news agency Wafa, Hussein said that attempts to break into the Al-Aqsa Mosque would not change the Arab and Islamic character of Jerusalem. In a message to Israel, Hussein warned that continued attempts to break into Al-Aqsa may lead the region to a religious war because they undermine the faith of Muslims around the world. He reiterated that the Al-Aqsa Mosque is "an Islamic mosque only and neither the settlers nor anyone else have a right to it." "We have the right in the city of Al-Quds (the Arabic name for Jerusalem) and in its holy places, and we will not give it up at any price," stressed Hussein.